Adam Kubert (born October 6, 1959 in Boonton, New Jersey) is an American comic book artist. Both his father (Joe Kubert) and his brother (Andy Kubert) are also comic book artists. Adam graduated from the Rochester Institute of Technology with a degree in medical illustration. He also attended the Joe Kubert School of Cartoon and Graphic Art in Dover, New Jersey, from which he duly graduated and has since become one of the industry's leading proffesional comic book artists. He is probably best-known for his work at Marvel Comics, in particular for a sporadic run on the solo Wolverine title with writer Larry Hama, a short run with writer Peter David on the Incredible Hulk and numerous stints on various X-Men titles. Adam Kubert's trademark is his raw, dynamic art style, combined with fluid storytelling and noteworthy pacing. He's also known for his experimentation in art style and storytelling, being one of the first mainstream (i.e. Marvel or DC employed) comic book artist to experiment with the pencils-straight-to-colour approach with Steve Bucellato on The Incredible Hulk. On his X-Men run, Kubert was teamed up with European colourist Richard Isanove who subsequently followed Adam to the Ultimate X-Men, perfecting the pencils-to-colour approach along the way, as can be seen on the majority of Ultimate X-Men covers as well as Wolverine:Origin. Adam Kubert has oft been criticised for his inability to turn out a comic book (22 pages) on a monthly schedule, often requiring fill in artists, a penchant that Kubert himself has admitted to. In response, in a 1998 Wizard interview with Jim McClaughlin, Kubert somewhat apologised to fans for his inability to complete his books on a monthly basis (and as compared to artists of the previous decades who could consistently produce monthly titles e.g. his father Joe Kubert, John Romita Sr. etc.) explained that with the advances in comic technology in the modern age, readers and fans expect much more of the illustrator in terms of detail and draughtsmanship etc., as a result the onus rests on the artist to provide a more detailed and well drafted page, considerations which contribute to the slow output of his pages. Although Kubert remains an abundantly talented penciller, the choice of inker for his work greatly influences the quality of the final printed page. 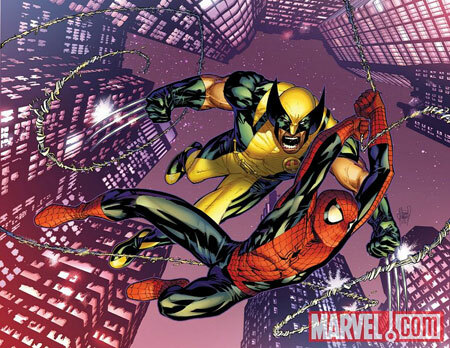 It has been argued by fans and critics alike through various mediums such as the internet and comic publications, that some of Kubert's finest work has been embellished by the British inker Mark Farmer, especially his runs on Wolverine and The Incredible Hulk for Marvel Comics. Whilst other talented inkers, notably Danny Miki and John Dell, lent their talents to Kubert's pencils during his runs on Ultimate X-Men and Ultimate Fantastic Four respectively, reaction to the final artwork was mixed due to the stylistic nature of the inkers which did not lend itself well to Kubert's normally lush drawings, leading to increasing calls that Adam Kubert should once again be paired up with Mark Farmer, even more so now that Kubert has moved to DC Comics as of 2006. When Marvel Comics launched the industry changing Ultimate Universe in 2001, Adam Kubert was chosen as the penciller for the second launch book Ultimate X-Men. His storytelling and distinct style coupled with writer Mark Millar's well crafted tales, made the book an instant success. Kubert was also chosen as the penciller to launch the ultimate universe version of Marvel's first family, the Ultimate Fantastic Four, once again with writers Mark Millar and Brian Michael Bendis. Both series launced to commercial and critical acclaim, firmly establishing Kubert as an industry heavyweight and one of Marvel's "go-to guys" for their major projects. An accomplished inker, he received an Eisner Award for his inking duties on the DARK HORSE-DC Comics Batman vs. Predator crossover in the early 1990s. In addition to this, Kubert is well renowned for his lettering ability, being the youngest professional comic book letterer at the age of only 11 years old. His very own handwriting was used as the template for the font used in the Ultimate X-Men comics, additionally Kubert's early lettering work on the now defunct Heavy Metal magazine was used by DC comics as the basis for most of the fonts used in their comics and magazines. Both Adam and his brother Andy signed exclusive contracts to work for DC Comics in 2005. (At the same time, their father wrote a Sgt. Rock mini-series for the company.) This came as somewhat of a shock to the industry as both the Kuberts (along with John Romita, Jr.) were known as Marvel comics' stalwarts, and they were well known for their company loyalty. When Valiant Comics tried to lure the brothers over from Marvel in 1994 for exorbitant sums of money, they both blindly refused opting to keep their home at Marvel Comics. In an interview for the magazine Wizard, the brothers made clear that they held no animosity for Marvel, but instead were excited for the chance to work on DC titles for a change. The brothers also work as teachers at the Joe Kubert School, founded by their father (who also teaches there). Adam teaches first year classes, Andy second, and Joe third. Cover to Action Comics #844. Written by Geoff Johns and Richard Donner. Art by Adam Kubert. He is currently illustrating "Last Son", a Superman story co-written by the superstar writing team of Geoff Johns and Richard Donner (he of the original Superman movie fame). Kubert was originally slated to begin his arc on Action Comics with issue #841 in July, but for reasons not given by DC comics he is only due to start in October. Industry speculation was that DC was finalising the deal with Johns and Donner and additionally wanted to provided Kubert with sufficient lead time to complete as many issues of Action Comics before going to print. Actions Comics #844, Kubert's first comic for DC since signing his exclusive contract, was published in late November 2006. Based on the hype generated by DC's marketing department as well as coverage received in Entertainment Weekly, the book was a commercial success, selling out it's first printing resulting in DC going back to print for issue #844. A month later, on 3rd December 2006, issue #845 was released to similar commercial acclaim as the preceding issue once again forcing DC to go back to press for a second printing on the 23rd February 2007. Issue #846, part 3 of the "Last Son" storyline, due to be released on 30th December 2006, was pushed back only to be released on the 28th February 2007. 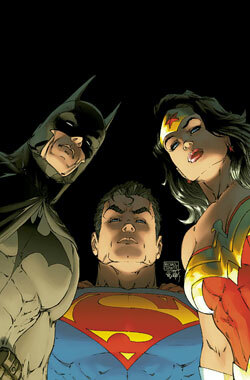 In mid February 2007, DC revealed that the planned all 3D issue of Action Comics, issue #848, which was originally solicited for a April 2007, has been cancelled. No reason was given for the cancellation prompting speculation that Kubert was falling behind on deadlines. This was later confirmed on 21st February 2007 when on his personal forum, ComicBloc.com, writer Geoff Johns revealed that the reason for the delays in Action's schedule was due to Adam Kubert falling behing in the pencilling and inking and not on Johns and Donner themselves.